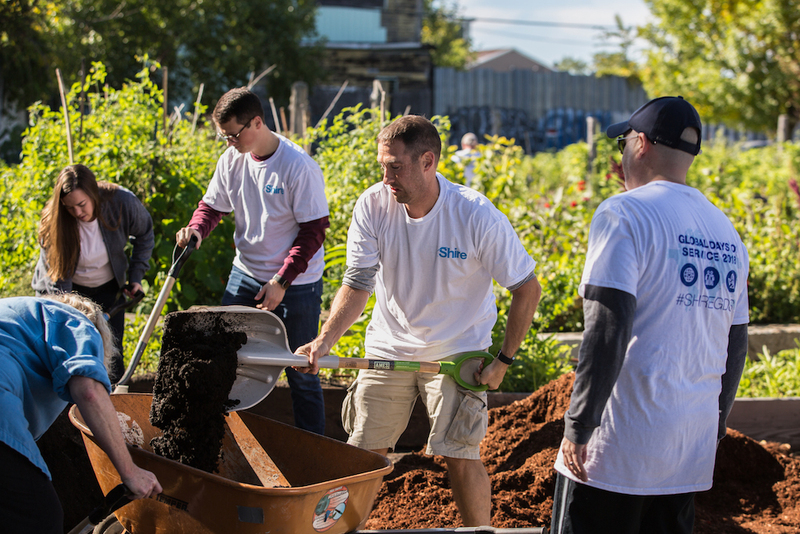 Since its launch in 2015, Shire's Global Days of Service has brought thousands of employees together each year from many parts of the organization and all around the globe. Throughout September and October this year, Shire employees worldwide came together to donate their time and talents for local causes. Volunteering in force fosters camaraderie and teamwork and builds on Shire's longstanding tradition of giving back to communities where employees live and work. The Global Days of Service is a cornerstone of Shire’s Responsibility commitment and an integral component of our employee and community engagement program. From Singapore to Cambridge, Massachusetts, and points in between, teams set out to meet community needs, many of which focused on children overcoming challenges – from refurbishing classrooms in city schools to packaging meals for the homeless, from cleaning up conservation hiking trails to repairing playground equipment. Also during our Global Days of Service, more than 1000 employees volunteered their time to work on enhancing three of the camps that are part of SeriousFun Children’s Network that Shire supports globally. To learn more about Shire’s Responsibility commitments and goals, please visit Shire’s Annual Responsibility Review at www.shire.com/who-we-are/responsibility or view its video on Responsibility.